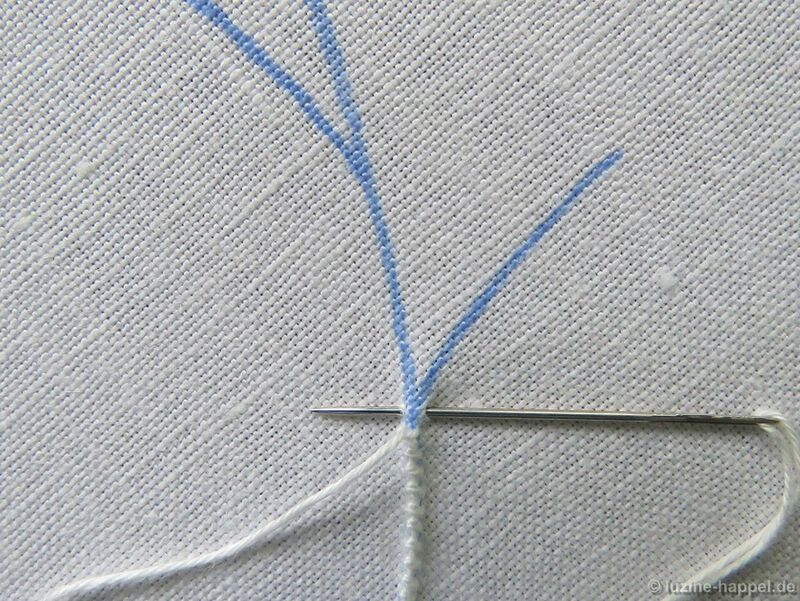 It is no problem to work a fork if the offshoot is at a right angel or nearly a right angel to the main stem, as the practicing project (1) shows. 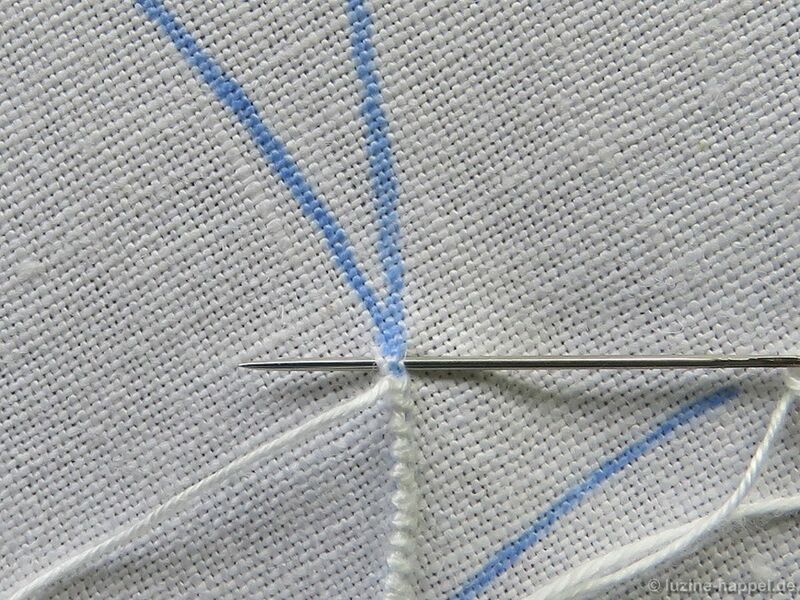 The more acute the angle, the more difficult it is to neatly work the fork. 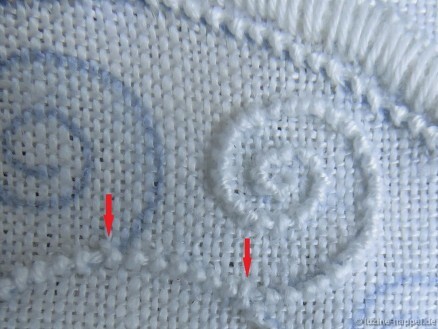 as the first three pictures show. 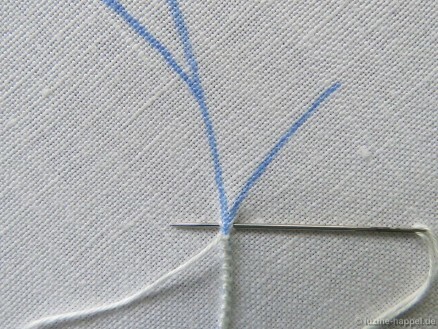 In contrast, tendrils growing smoothly out of the stem are very attractive. I’d like to share a little tip for making forks that turn out well. The last stitch before reaching the fork is worked somewhat wider than the others. 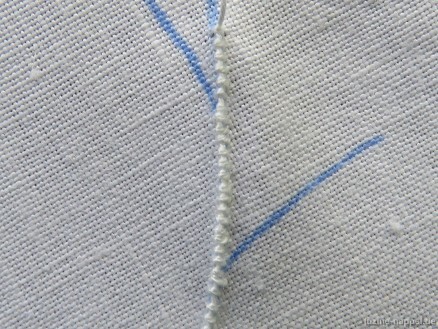 If you want to work an offshoot on the right, widen the stitch a small step to the right. 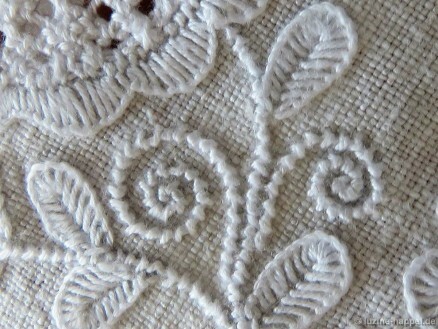 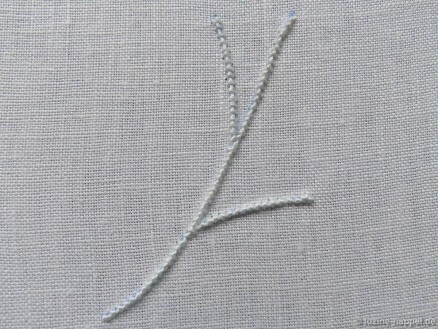 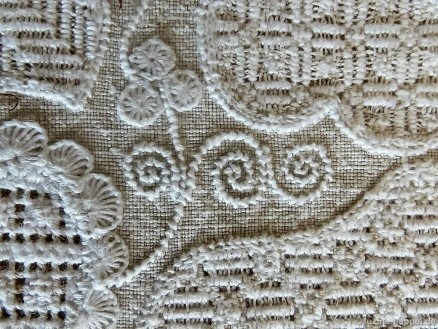 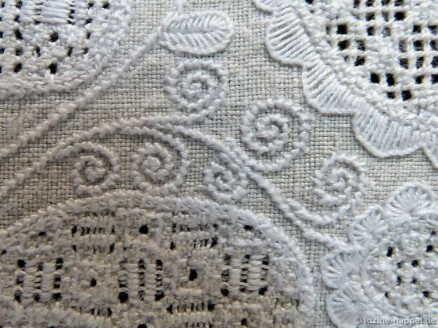 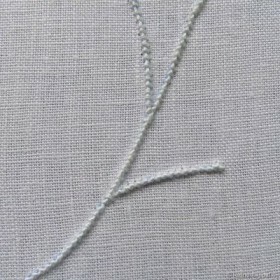 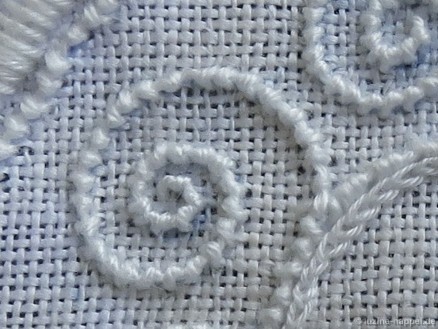 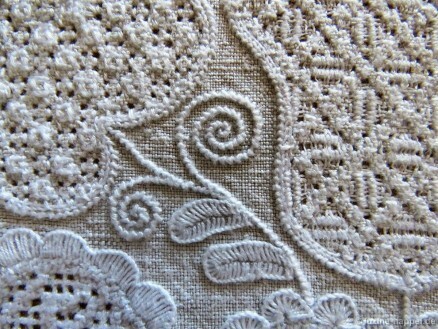 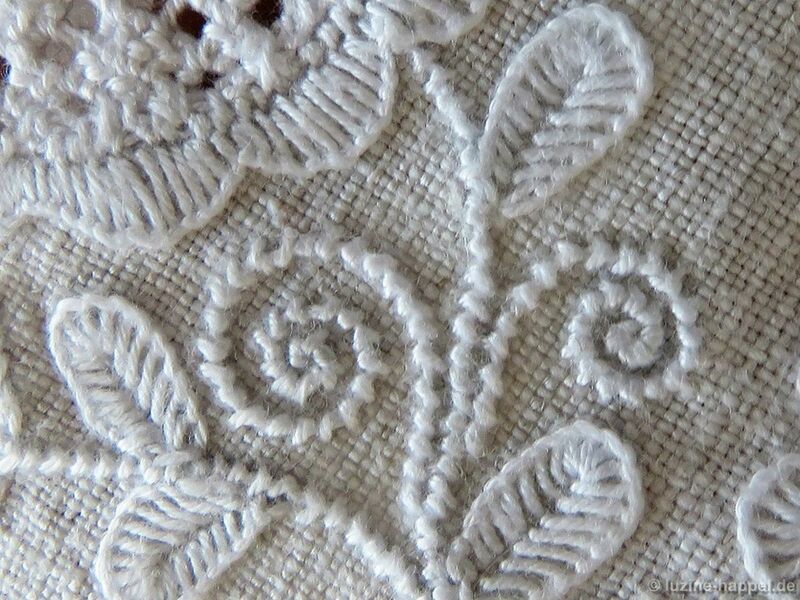 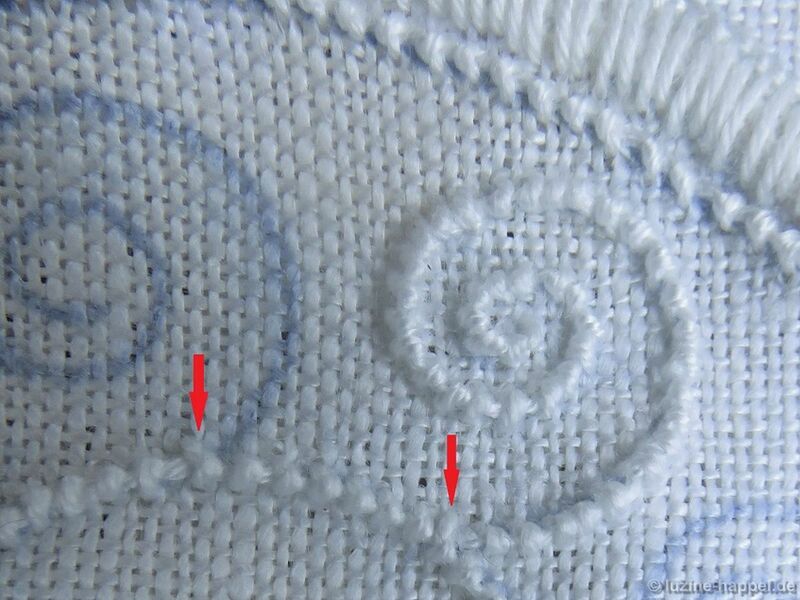 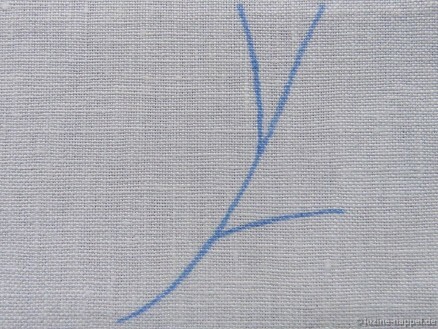 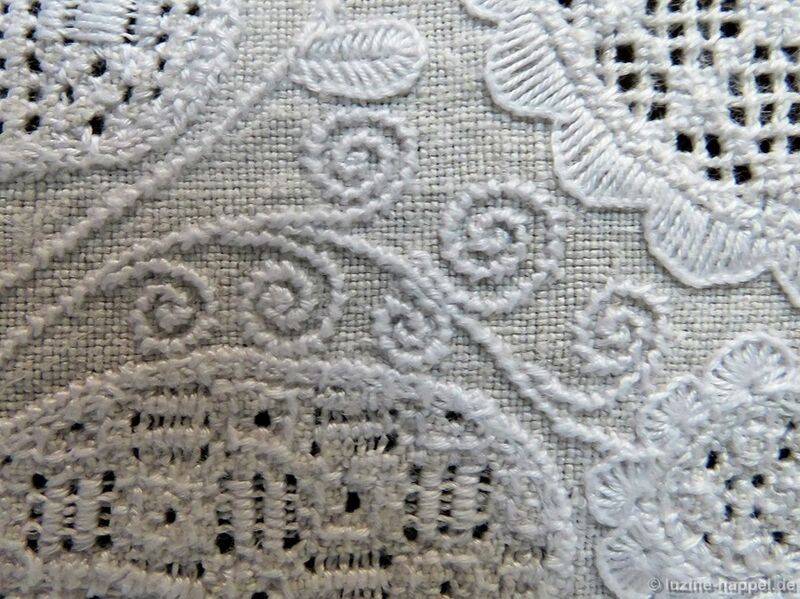 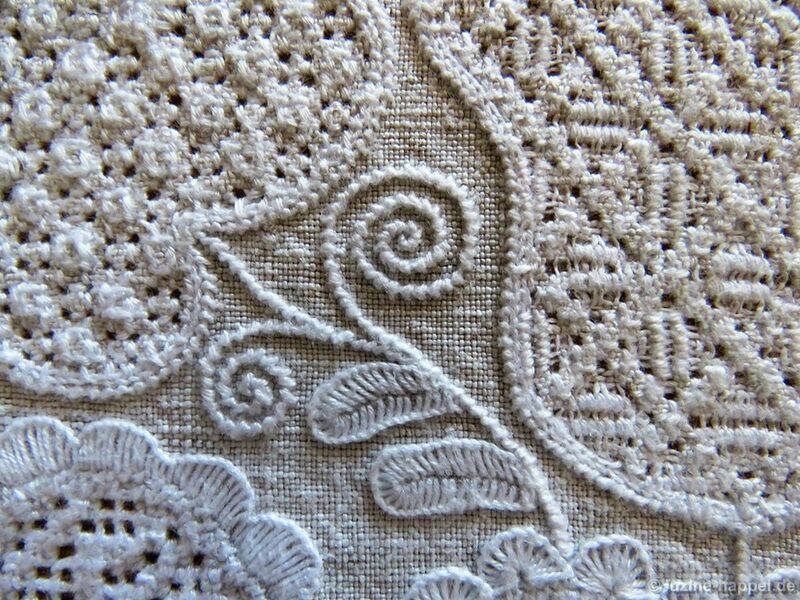 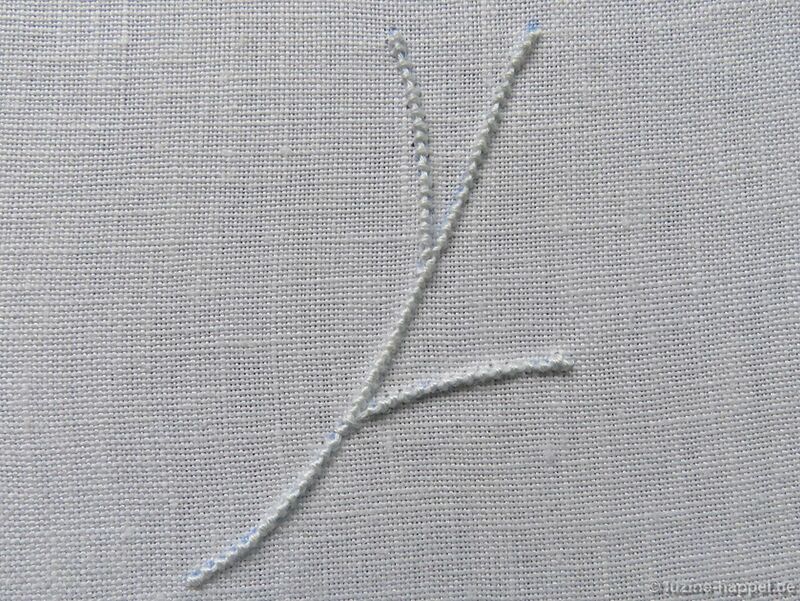 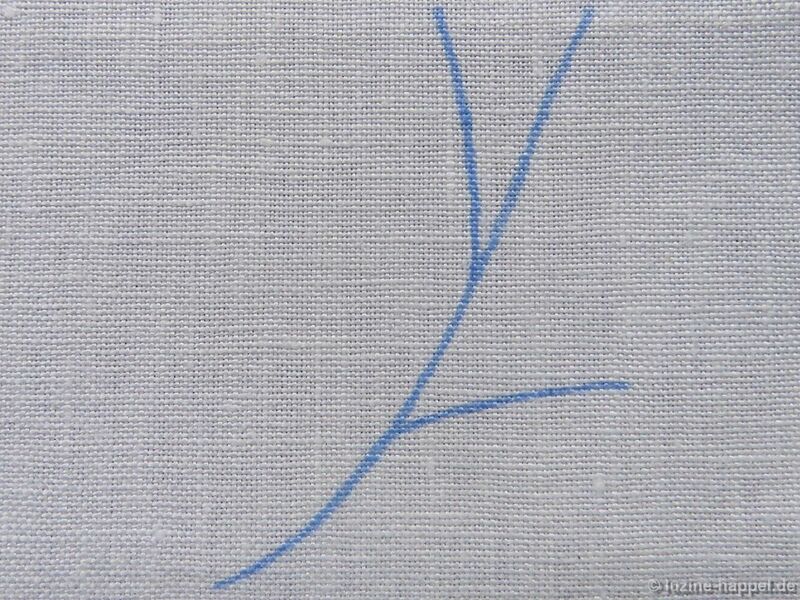 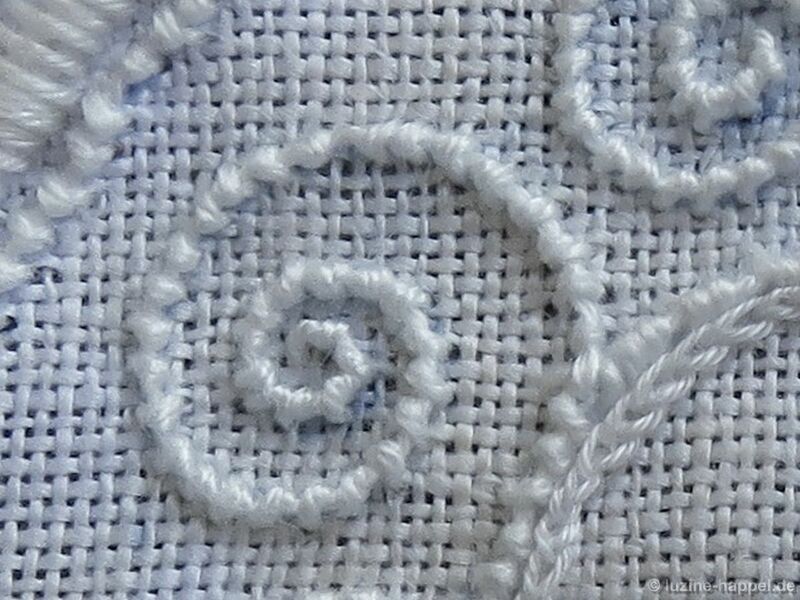 After making one wider stitch, continue working in the established way. 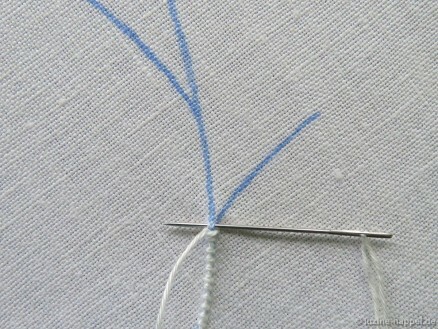 and then continue working in the established way. 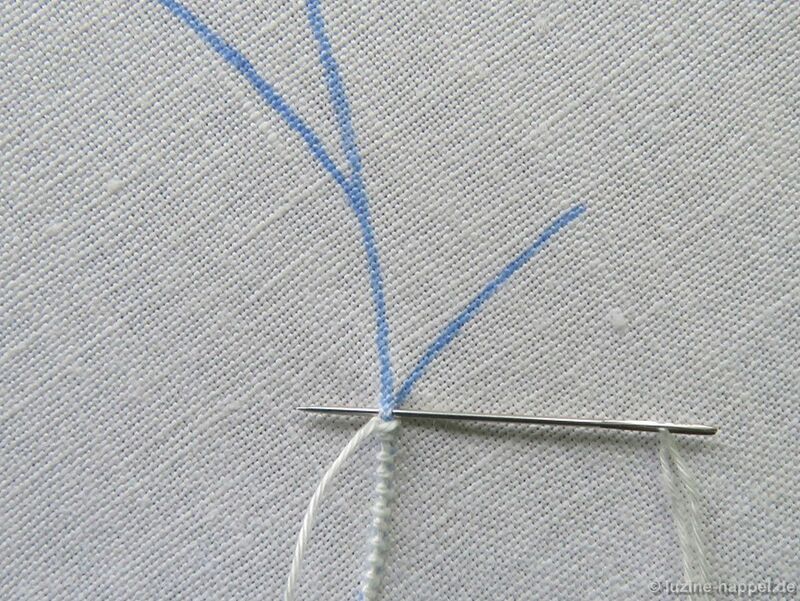 This creates a small space for adding an offshoot growing out of a line.